Putting things in their mouths is one of the ways that babies and small children explore their worlds. Choking is usually caused by food, toys, and other small objects that can easily lodge in a child's small airway- anything that fits can be a danger. 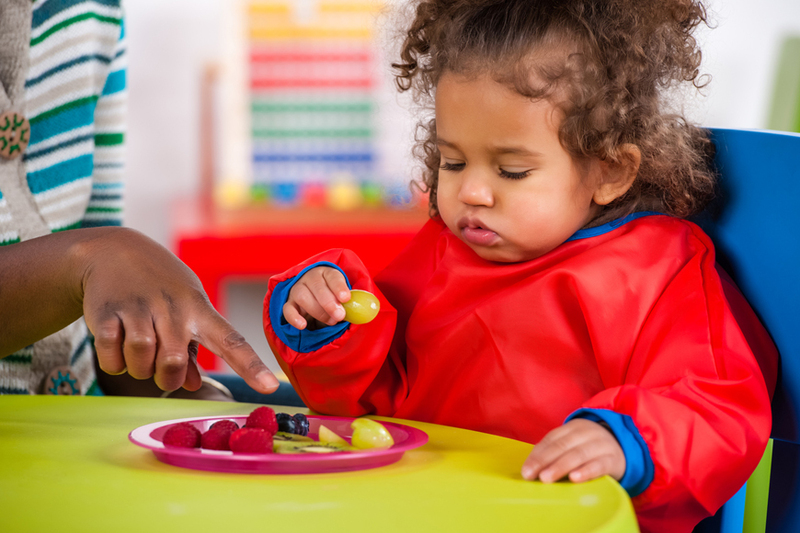 Encourage children to sit when eating and to chew thoroughly. Teach them to chew and swallow their food before talking or laughing. Never let children run, play sports, or ride in the car with gum, candy, or lollipops in their mouths. These soft foods can be served if they're chopped into small pieces or peeled if they have skin. Spoonfuls of peanut butter and chewing gum also should be regarded as potential choking hazards. Always follow all manufacturers' age recommendations when buying toys. Some toys have small parts that can cause choking, so heed all warnings on a toy's packaging. Check toys frequently for loose or broken parts - for example, a stuffed animal's loose eye or a broken plastic hinge. Warn older children not to leave loose game parts or toys with small pieces in easy reach of younger siblings. Safely dispose of all batteries, especially button-cell batteries (like those used for watches). Encourage children not to put pencils, crayons, or erasers in their mouths when coloring or drawing.